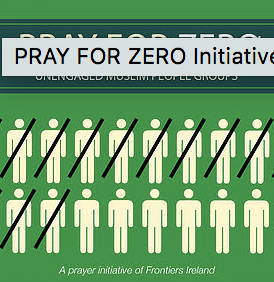 'Pray for Zero' is a prayer initiative that seeks to see the number of unengaged Muslim people groups reach ZERO! A number of churches in N. Ireland have recently 'adopted' various unengaged Muslim people groups for a year of prayer. The Luwu are the people group we have adopted here at GBC. They are located on the island of Sulawesi in Indonesia.They generally live as farmers. Beside planting rice, they also grow corn, peanuts, Chile peppers, cassava and potatoes. They also grow coffee and cloves for trading. They are well known in the area for their houses and rice barns which are decorated with complex carvings. Why not join us and pray each day for a month over the next year. Booklets with all the prayer points etc. are available from Robert Davidson or any Mission Team member.